Serious games (SGs) have been used in the education of students and professionals for decades, but still have not reached their full potential, despite the large consensus they have gained recently. The entertainment game industry is a rapidly developing phenomenon, with a high market potential, enabled and enhanced by technological innovation. The question examined in this paper is: Did serious game designers learn from Entertainment Game (EG) designers in building a successful game? This paper presents three case study examples of games that have good learning outcomes to explore this question. This paper discusses the salient aspects and the differences between the examples and suggests how SGs could learn more from successful EGs. 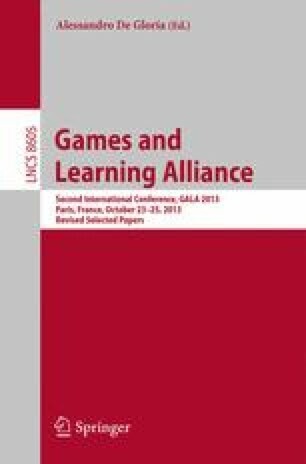 The research reported in this paper has been partially supported by the European Union, particularly through the projects GaLA: The European Network of Excellence on Serious Games (FP7-ICT) www.galanoe.eu and ELU: Enhanced Learning Unlimited (FP6-IST-027866).